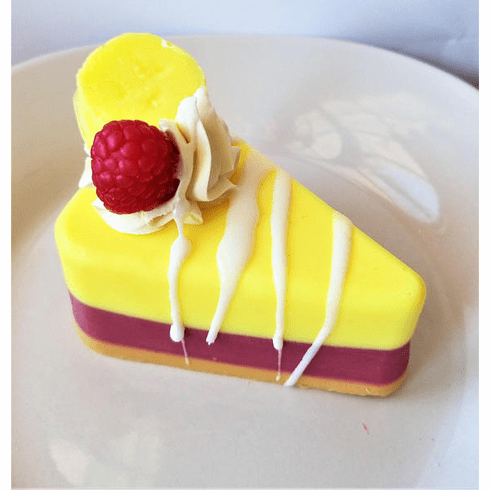 This soap pie looks so real! It is scented in a yummy banana raspberry scent and is topped with a soap banana and raspberry. Weighs approximately 7 ounces. Fully wrapped and will make a great stocking stuffer or gift.